DAY 3 of the 2018 Asian Games in Jakarta — August 21 to be exact — will go down as perhaps one of the most memorable moments of the year for Philippine sports. NBA player Jordan Clarkson was to make his long-awaited debut for Team Pilipinas in the Asian Games against a Chinese side led by Houston Rockets big man Zhou Qi. The Philippines lost a close one, 82-80, before a full house at the GBK Basketball Hall, one of the venues inside the sprawling Gelora Bung Karno Stadium. Disappointment over the loss, however, was wiped away minutes later. 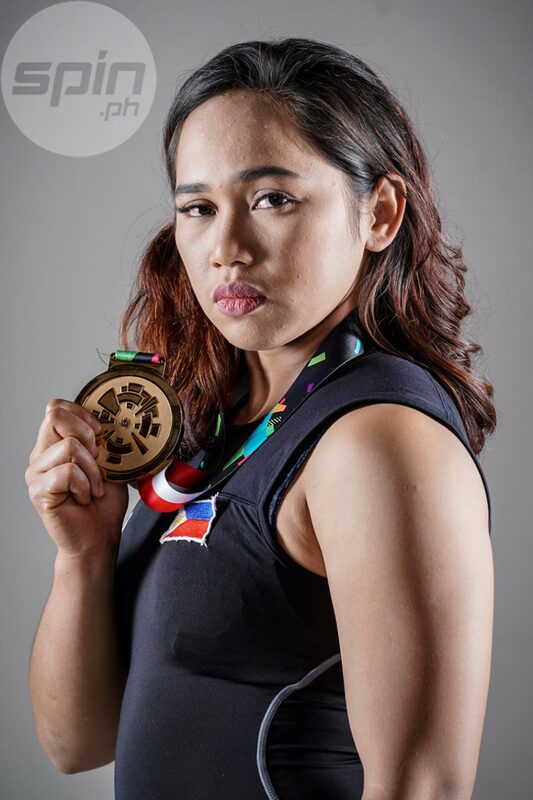 In a venue located about an hour away from the site where Team Pilipinas bowed to China, Hidilyn Diaz once again stepped up by delivering the country's first gold in weightlifting's women’s 53kg division. 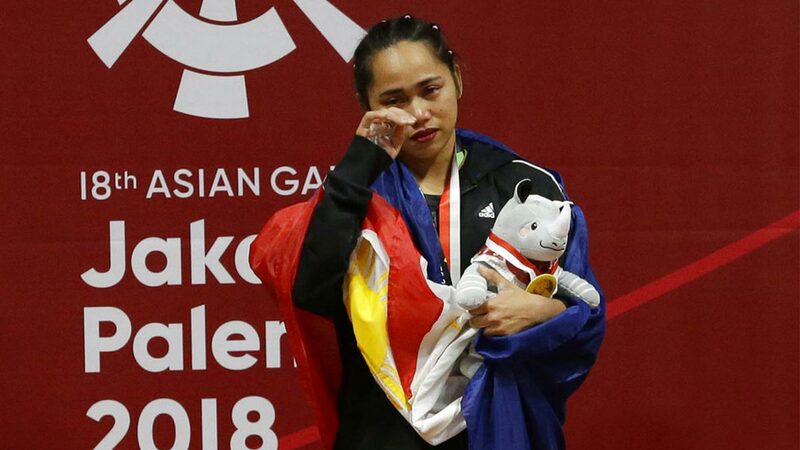 Diaz’s accomplishment sparked a gold rush for Team Philippines as it was followed days later by victories by Yuka Saso and the Philippine women’s golf team, and skateboarder Margie Didal that gave the country four gold medals in a memorable Asian Games campaign. The 2016 Rio De Janeiro Olympic silver medalist was once again the toast of Philippine sports. What people didn't know, however, was that the joy of victory merely masked the emotional struggles of the 27-year-old Diaz, who described 2018 as one of the toughest years of her weightlifting career, both on and off the gym. Before the Asiad, Diaz, in her desire to step up on her training, requested for a Chinese coach to replace her old one. She also formed a team called HD Tokyo 2020, with an eye on winning the country’s first Olympic gold medal in the 2020 Tokyo Games. The move was not without a backlash for Diaz, who came under fire from critics who accused her of ego-tripping. 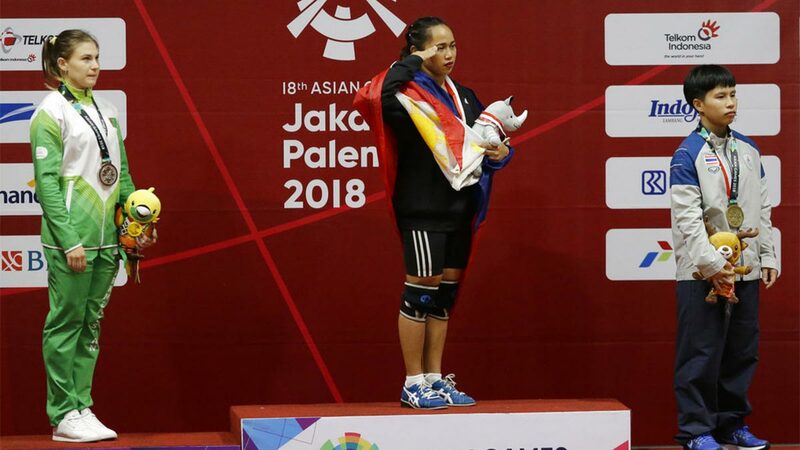 The issue came to a head a month after her Asian Games victory when Diaz submitted a letter to the Philippine Sports Commission stating her position of two federations – the Philippine Weightlifting Association (PWA) and the Samahang Weightlifting ng Pilipinas (SWP) – claiming to be the rightful national sports association (NSA) for the sport. In the same letter, Diaz asked SWP president Monico Puentevella call an election and also raised issues hounding the sport, such as the ‘palakasan’ system among athletes. Diaz admitted she was hurt by the criticism. “Grabe ang pagba-bash sa akin ng mismong weightlifting community. Sabi nila, lumalaki na ulo nyan, bakit siya ang nagre-request ng ganito? Bakit siya nag-rerequest ng ganitong pagkain? Para i-bash niyo ako, iba ‘yun. Masakit,” said Diaz. “Malapit na laro ko nung Asian Games. ‘Yun ang dala-dala ko na sabi ko, pinaglalaban ko kayo pero hindi nila nakikita ‘yung need ko as an elite athlete,” Diaz said. 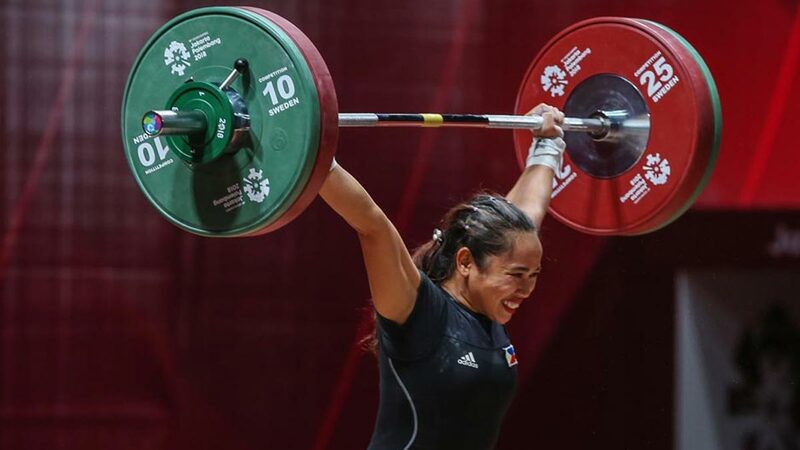 While there were critics, Diaz said there were also many who supported her move to call out sports officials about the state of weightlifting in the country, and fight for what is right, not just for Filipino weightlifters but for all national athletes. 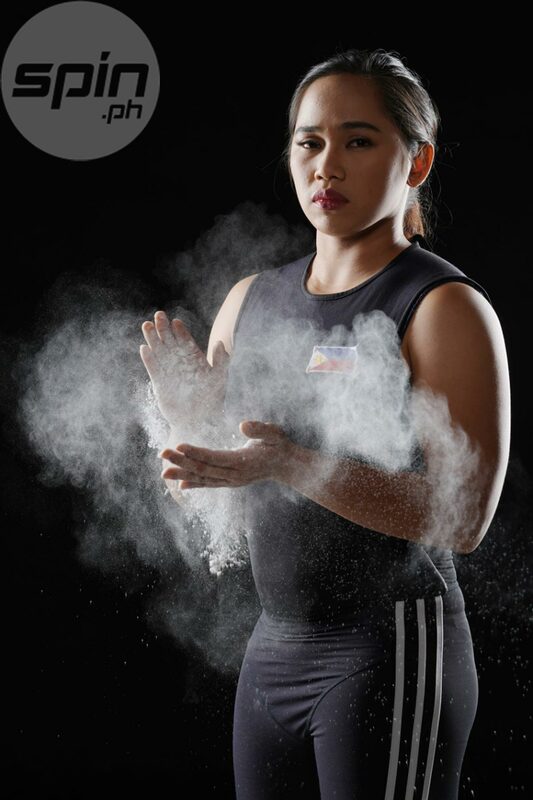 She also vowed never to hold back for the sake of Filipino athletes. “Nung bata ako, ganito na ‘yung problema. Hanggang sa pagtanda ko, ganun pa rin ang problema. Paano ba ito masosolusyunan … Kailangan ko lang mag-stand kasi kawawa ‘yung mga bata," she said. Diaz has embraced the role as the voice of the Filipino athlete, and she is happy that the PSC and the Philippine Olympic Committee (POC) are listening. “I think kailangan ko mag-stand kung ano ‘yung tama para sa mga atletang Pilipino, hindi lang para sa sarili ko kundi para sa mga susunod din na atleta. Kung walang magsasalita, sino ang magsasalita para sa kanila. ‘Yun nga lang, ako ‘yung nasasaktan kasi ako ‘yung nasa harap,” Diaz said. “Nagkakaroon na kami ng boses sa POC. Sa PSC, nakikinig sila. It takes time. Papunta tayo doon. Hopefully, makikinig sila sa mga pangangailangan ng mga atleta,” she added. As for the 2020 Olympics, Diaz said she is on target even after finishing 11th in this year’s world championship, the first qualifying phase for Tokyo. “Nape-pressure ako sa Olympic gold. Pero kailangan kong i-claim sa sarili ko para gawin ko. Isusurrender ko kay God. Alam kong kaya ko. Alam ng team kona kaya ko manalo ng gold for the Philippines. Tiwala ako kay God na lahat ng sakripisyo ko, may mapupuntahan."